All advance tickets for this program have been claimed. Don’t worry! We always save a select number of seats for walk-ups, on a first-come, first served basis. Enrico David (Italian, b. Ancona, 1966) is one of the most original artists working today. He works across various media such as painting, printmaking, and sculpture to create unique objects and imagery that explore the body and its surrounding space. Laced with humor and fantasy, his work not only reminds us of great early twentieth-century sculptors, such as Barbara Hepworth and Henry Moore, but also engages a more surrealist form of image-making that feels both fresh and unpredictable. He has exhibited work in shows across the world, and in 2013, he presented a major installation of paintings, tapestries, and sculptures as part of the Venice Biennale’s The Encyclopedic Palace, curated by Massimiliano Gioni. David returns to Venice this year to represent Italy for the 58th edition of the art world’s celebrated biennial event. 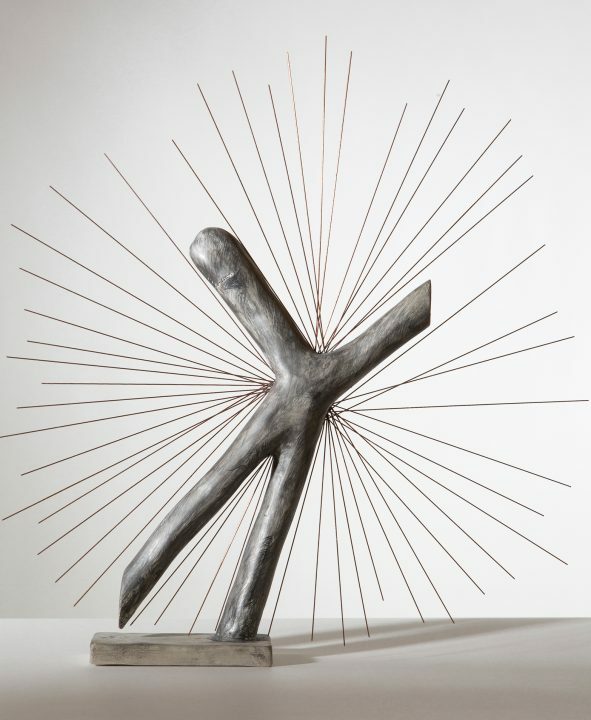 Enrico David: Gradations of Slow Release is the largest US museum survey of the artist’s work to date, featuring twenty years of artistic output. On the eve of the exhibition’s opening, join Enrico David and Hirshhorn Chief Curator Stéphane Aquin for a lively discussion about the artist’s highly original practice. Please e-mail hirshhornexperience@si.edu if you would like to request ASL interpretation for this program.